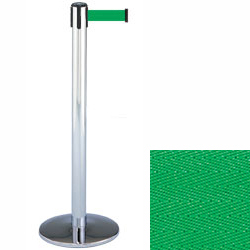 These chrome stanchions with retractable green belt are great for creating orderly service lines and separated areas in a number of industries. Restaurants, retail stores and event venues can use the crowd control posts to direct customers their destination. 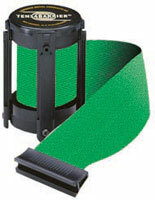 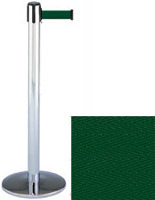 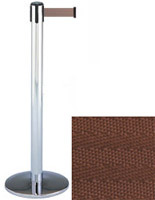 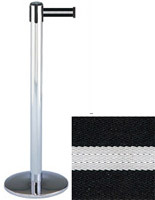 The chrome stanchions with green belt are made of strong metal with a sturdy round, weighted base that keeps them upright in high traffic environments. The poles stand 38" tall and their nylon tape is 13' long to cover large areas. 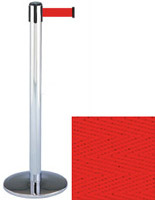 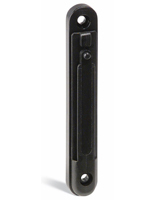 In addition, the chrome stanchions each come with a 4-way adapter on top for creating complex crowd control layouts.